Firestone Truck Tires at Pete’s Tire Barns. We carry a full lineup of value priced truck tires from Firestone. As part of the Bridgestone and Firestone families of commercial truck tires, Firestone offers an excellent combination of value and performance. Firestone offer tires for all kinds of applications including regional hauling, long haul, waste hauling and construction. 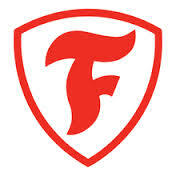 Pete’s Tire Barns carries Firestone truck tires that are both reliable and fuel efficient.